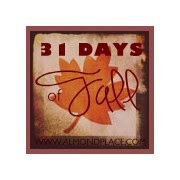 Almond Place: 31 DAYS OF FALL: Boots! 31 DAYS OF FALL: Boots! Welcome to Almond Place! This is the 2nd post of my 31 Days of Fall Series. You can click on over HERE to see the rest of the posts. So today we're talking BOOTS. I LOVE the Fall "look" of boots. Problem is....I don't own a single pair. I'm not sure exactly how this happened but I am definitely feeling like it's time to jump on the boot bandwagon! Here are my boot requirements....must be less than $50. I change my mind and wardrobe far too often to spend any serious money on shoes. The second thing is, they need to make my calves look slim...I have surprisingly thick calves and most boots have a hard time zipping up over those babies! The last thing I need are muffin top calves spilling over the boots. I think I'm pretty set on brown boots, no heel, but again it will all depend on cost and calves! I'd LOVE to hear any great finds you might run into while you're out shopping for your own pair. I'm anxious to see what Target has to put out this season. Click HERE to find all of the posts in one location or click over to DAY 3 for the next post. I've seen a LOT of these types of boots on http://www.6pm.com . They tend to be under $100, so you might be able to score something there. Good luck! I know this doesn't help now, but I usually score great boots for amazing prices at the end of season. Usually the first week of March. As for the calf thing, from the boots I have tried on, I have found boots with more of a heel elongate my calves a little bit. I love the ones with the bowties from Anthropologie. Have fun shopping! Great post, Mandy. I too, am on the boot bandwagon this fall and also, like you, my taste changes so quickly that I don't want to spend a fortune on a pair I'll wear for a year. I bought a pair for $30 at Joe Fresh and I'm quite pleased with them. They may not last forever but I'm sure I'll get at least two years out of them. 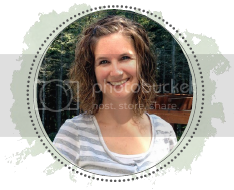 Blog Design By Always In Bluhm Designs. Simple theme. Powered by Blogger.